Did you know that nuclear power is used to generate almost 60% of Ontario’s electricity? Nuclear science and engineering have a long and storied history in Ontario, with the CANDU Reactor technology being shared with other countries in order to bring greenhouse-gas-free electricity to millions. The nuclear industry is clearly very important to Ontario. A couple of universities in the province have specialized programs in nuclear engineering and McMaster University in Hamilton, Ontario is one of them. There is even a working nuclear reactor right on McMaster’s campus! It began operating in 1959 and is used for research and education. What better way to train the future engineers and managers of Ontario’s main source of electricity than with hands-on learning. The facility is extremely safe, with many systems in place including intensive training and a workplace culture with safety at the top of mind. You can find photos of a safety training exercise in progress here! You can actually take tours of the reactor (link to tours), although they must be done in small groups and if you are younger than 18, you must be with a parent or guardian. If you would like to know how Ontario’s energy is being produced, check out this real-time web app brought to us by the Canadian Nuclear Society. 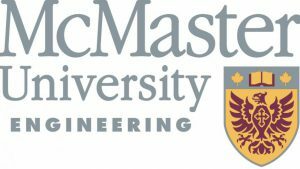 McMaster University Engineering is an Investor sponsor of National Engineering Month 2018 and we greatly appreciate all that they do for engineering outreach, not to mention their contributions to the field of nuclear engineering! During National Engineering Month there were many events in the Hamilton area. On behalf of the National Engineering Month Ontario, our founding partners and all of our volunteers across the province, we thank McMaster University Engineering for their support. Here is a social media recap of some these amazing activities!